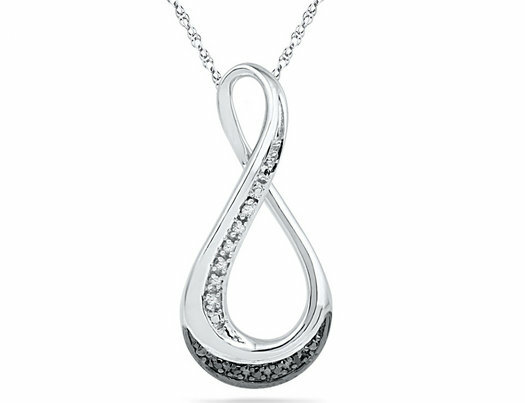 Glimmering sterling silver curves around to form a beautiful infinity symbol in this lovely diamond pendant necklace. Twinkling white and black diamond gems add extra sparkle and style to the pendant. This necklace comes complete with a matching 18 inch chain.